When I was invited to West Africa as a Bible teacher, we landed in a church that had been composing all their own music for more than 60 years, never importing or translating an outside song. I was curious—how had they come up with this unusual tradition? My research drew me into the world of ethnodoxology. I discovered that an evangelist from Liberia had encouraged them to take a traditional category of music and rework it for church purposes. Since he was an itinerant evangelist who spent only a few days in a community before moving on, never to return, he left them only with ideas for how to create worship within their church. Spurred on by his encouragement simply to compose their own music, the community went to work and created over 500 hymns, passing them along orally over the years to three generations of church members. I started to realize that the words they used in their songs to describe their relationship with God would be important for me in teaching the Bible and helping them access Scripture more deeply. In the absence of written documents, the content of their hymns also became one of the primary sources available for reconstructing the history of the church. Years later, in 2003, I had stored away the newly created West African hymnbooks I had worked with the church to publish and was on an administrative trip to Mongolia. Having arrived on a night flight and now taking a bus at 2 a.m. into the city, I discovered that the man next to me was working with musicians to create music for the church. His name? 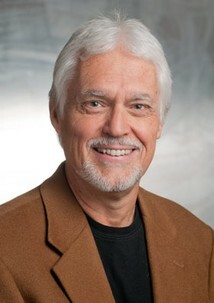 Paul Neeley. The Paul Neeley from Ghana! I had read his writing on ethnodoxology, and he had read my thesis, too. So there we were, in the middle of Mongolia, and Paul invited me to the first Global Consultation on Music and Missions (GCoMM), happening that fall. It was a highlight for me finding out that I wasn’t alone in doing this kind of work in ethnodoxology. Back in those days, especially in the French/Catholic context of West Africa, I knew of virtually no one else working out these concepts and had assumed I was just on my own. Now the world of ethnodoxology opened up to me as I made personal connections, had access to good literature in the field, and even started meeting people who had resonated with my own thesis work. My hope is that there would be more of a hybrid integration in the global church of people accessing a variety of music outside their own culture(s) but also looking seriously at what God has given them and finding ways to incorporate those artistic resources creatively into the life of the church. As I’ve traveled around the world visiting people in the 55 countries served by our organization, I’ve noticed a massive undercurrent in the young people—they are desperate to connect with others and believe music like Hillsong will link them with others around the world. Similarly, I heard a paper recently that proposed Hillsong as the indigenous music of second-generation immigrants in places like London, who are looking to identify with anything “not their own” so they can access the broader world. I hope we can get past the idea that we have to choose between “local” and “global” arts and instead find ways to incorporate both sets of values into the church.